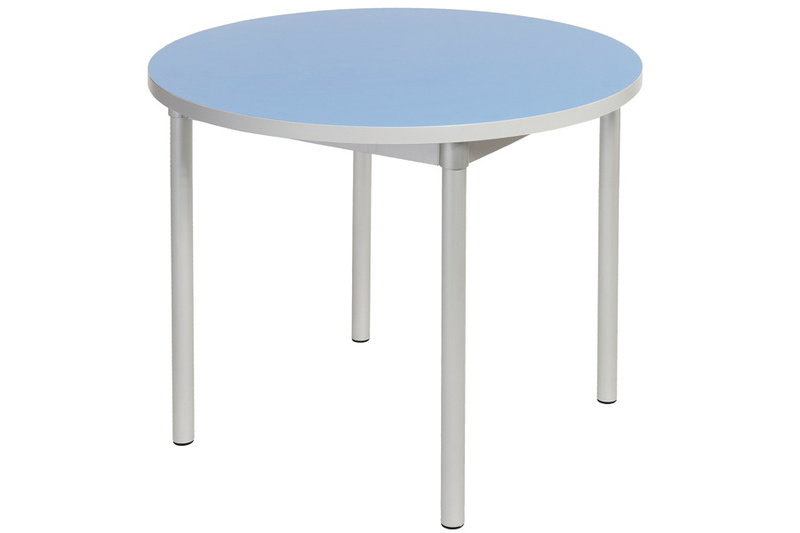 This robust circular dining table comes in a choice of heights, sizes, edge colours and tabletop colours. It has fixed legs and is strong and stable but being 40% lighter than its rivals, it is lightweight and easy to move. Ideal dining furniture for schools and pre-schools as the tabletop is made from wipe-clean laminate. Delivered flatpack for simple assembly with Allen key fixing. 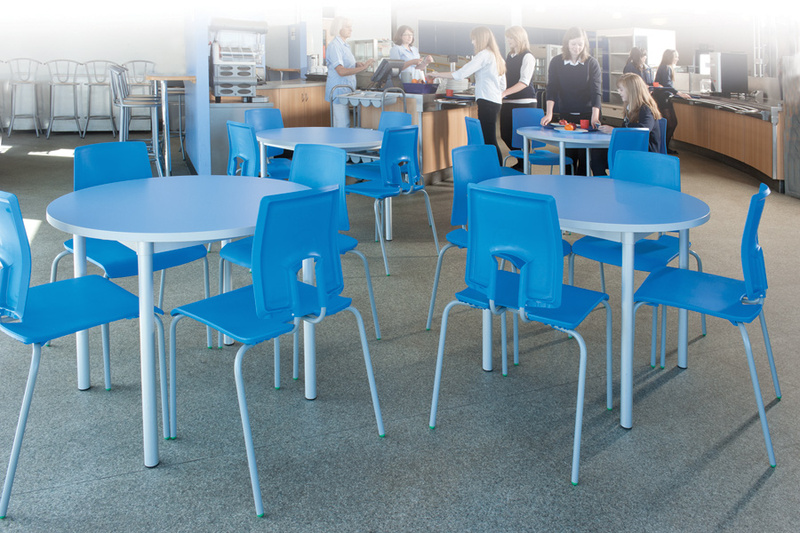 View our full range of Dining School tables.